The name of this corporation is: ORGANIZATION OF WOMEN ARCHITECTS AND DESIGN PROFESSIONALS. The principal office for the transaction of the activities and affairs of this corporation is located at 1600 Arch Street, Berkeley CA 94709. The board of directors may change the location of the principal office. Any such change of location must be noted by the secretary on these bylaws opposite this Section; alternatively, this Section may be amended to state the new location. This corporation is a nonprofit public benefit corporation, is not organized for the private gain of any person, and is organized under the Nonprofit Public Benefit Corporation Law for public and charitable purposes. 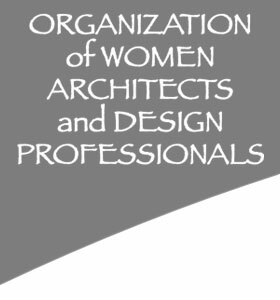 The specific purposes of this corporation shall be (a) to initiate and carry out activities to improve the professional standing of women in architecture and related fields, to increase the number of women architects, and to increase public interest in and awareness of women within the architectural profession and related fields; (b) to improve the study and practice of architecture and related fields, to inform and educate the public about the environment and environmental issues, and to increase public interest in and awareness of the architectural and related professions and in the responsibilities of these professions in the design of the environment; (c) to promote contact among the members of the corporation and between those members and other persons and groups; and (d) to carry on other charitable and educational activities associated with this goal as allowed by applicable law. Unless the context requires otherwise, the general provisions, rules of construction, and definitions in the California Nonprofit Corporation Law shall govern the construction of these bylaws. Without limiting the generality of the preceding sentence, the masculine gender includes the feminine and neuter, the singular includes the plural, the plural includes the singular, and the term "person" includes both a legal entity and a natural person. Any and all references to a "Steering Committee" in the proceedings of, and in matters pertaining to or involving, this corporation shall at all times and in all circumstances and contexts be deemed to reference and mean this corporation's "Board of Directors" (and its members as "Directors") as such is required and constituted under the laws of the State of California, and furthermore the members of this corporation's Steering Committee shall have all the same attributes, rights, protections, privileges and obligations of members of the Board of Directors of this corporation, as it may be constituted from time to time. 5. Irrevocable Dedication of Assets. This corporation's assets are irrevocably dedicated to public benefit purposes. No part of the net earnings, properties, or assets of the corporation, on dissolution or otherwise, shall inure to the benefit of any private person or individual, or to any director or officer of the corporation. On liquidation or dissolution, all properties and assets remaining after payment, or provision for payment, of all debts and liabilities of the corporation shall be distributed to a nonprofit fund, foundation, or corporation that is organized and operated exclusively for charitable purposes and that has established its exempt status under Internal Revenue Code §501(c)(3). This corporation shall have two (2) classes of members, voting and non-voting. Any person dedicated to the purposes of the corporation shall be eligible for membership on approval of the membership application by the board and on timely payment of such dues and fees as the board may fix from time to time. All members shall have the right to vote, as set forth in these bylaws, on the election of directors, on the disposition of all or substantially all of the corporation's assets, on any merger and its principal terms and any amendment of those terms, and on any election to dissolve the corporation. In addition, those members shall have all rights afforded members under the California Nonprofit Public Benefit Corporation Law. 8. Dues, Fees, and Assessments. Each member must pay, within the time and on the conditions set by the board, the dues, fees, and assessments in amounts to be fixed from time to time by the board. The dues, fees, and assessments shall be equal for all members of each class, but the board may, in its discretion, set different dues, fees, and assessments for each class. e. Termination of membership under Section 12 of these bylaws based on the good faith determination by the board, or a committee or person authorized by the board to make such a determination, that the member has failed in a material and serious degree to observe the rules of conduct of the corporation, or has engaged in conduct materially and seriously prejudicial to the corporation's purposes and interests. A member may be suspended, under Section 12 of these bylaws, based on the good faith determination by the board, or a committee or person authorized by the board to make such a determination, that the member has failed in a material and serious degree to observe the corporation's rules of conduct, or has engaged in conduct materially and seriously prejudicial to the corporation's purposes and interests. A person whose membership is suspended shall not be a member during the period of suspension. 12. Termination or Suspension of Membership. a. The board shall give the member at least 15 days' prior notice of the proposed suspension or termination and the reasons for the proposed suspension or termination. Notice shall be given by any method reasonably calculated to provide actual notice. Notice given by mail shall be sent by first-class or registered mail to the member's last address as shown on the corporation's records. b. The member shall be given an opportunity to be heard, either orally or in writing, at least five days before the effective date of the proposed suspension or termination. The hearing shall be held, or the written statement considered, by the board or by a committee or person authorized by the board to determine whether the suspension or termination should occur. c. The board, committee, or person shall decide whether the member should be suspended, expelled, or sanctioned in any way. The decision of the board, committee, or person shall be final. d. Any action challenging an expulsion, suspension, or termination of membership, including a claim alleging defective notice, must be commenced within one year after the date of the expulsion, suspension, or termination. 13. Transfer of Memberships Not Permitted. No membership or right arising from membership shall be transferred. All membership rights cease on the member's death or dissolution. meeting. Subject to Sections 19, 20 and 21 of these bylaws, any other proper business may be transacted at this meeting. 15. Place and Manner of Meeting. b. Authority for Electronic Meetings. If authorized by the board in its sole discretion, and subject to the requirements of consent in Corporations Code §20(b) and guidelines and procedures the board may adopt, members not physically present in person (or, if proxies are allowed, by proxy) at a meeting of members may, by electronic transmission by and to the corporation or by electronic video screen communication, participate in a meeting of members, be deemed present in person (or, if proxies are allowed, by proxy), and vote at a meeting of members whether that meeting is to be held at a designated place or in whole or in part by means of electronic transmission by and to the corporation or by electronic video screen communication, subject to the requirements of these bylaws. c. Requirements for Electronic Meetings. A meeting of the members may be conducted, in whole or in part, by electronic transmission by and to the corporation or by electronic video screen communication (1) if the corporation implements reasonable measures to provide members in person (or, if proxies are allowed, by proxy) a reasonable opportunity to participate in the meeting and to vote on matters submitted to the members, including an opportunity to read or hear the proceedings of the meeting substantially concurrently with those proceedings, and (2) if any member votes or takes other action at the meeting by means of electronic transmission to the corporation or electronic video screen communication, a record of that vote or action is maintained by the corporation. Any request by a corporation to a member pursuant to Corporations Code §20(b) for consent to conduct a meeting of members by electronic transmission by and to the corporation shall include a notice that absent consent of the member pursuant to Corporations Code §20(b), the meeting shall be held at a physical location in accordance with Section 54 of these bylaws. 16. Authority to Call Special Meetings. The board or the chair of the board, if any, or the president or any two vice presidents or Five Percent (5%) or more of the members, may call a special meeting of the members for any lawful purpose at any time. more than 90 days after receipt of the request. If the notice is not given within 20 days after the request is received, the person or persons requesting the meeting may give the notice. Nothing in this Section shall be construed as limiting, fixing, or affecting the time at which a meeting of members may be held when the meeting is called by the board. 18. Proper Business of Special Meeting. Whenever members are required or permitted to take any action at a meeting, a written notice of the meeting shall be given, under Sections 20 and 21 of these bylaws, to each member entitled to vote at that meeting. The notice shall specify the place, date, and hour of the meeting, and the means of electronic transmission by and to the corporation or electronic video screen communication, if any, by which members may participate in the meeting. For the annual meeting, the notice shall state the matters that the board, at the time notice is given, intends to present for action by the members. For a special meeting, the notice shall state the general nature of the business to be transacted and shall state that no other business may be transacted. The notice of any meeting at which directors are to be elected shall include the names of all persons who are nominees when notice is given. Except as provided in Section 18 of these bylaws, any proper matter may be presented at the meeting. b. Notice of Certain Agenda Items. (4) Electing to wind up and dissolve the corporation. 20. Manner of Giving Notice. Notice of any meeting of members shall be in writing and shall be given at least 10 but no more than 90 days before the meeting date. The notice shall be given either personally or by first-class, registered, or certified mail, or by other means of written communication, charges prepaid, and shall be addressed to each member entitled to vote, at the address of that member as it appears on the books of the corporation or at the address given by the member to the corporation for purposes of notice. If no address appears on the corporation's books and no address has been so given, notice shall be deemed to have been given if either (1) notice is sent to that member by first-class mail or facsimile or other written communication to the corporation's principal office or (2) notice is published at least once in a newspaper of general circulation in the county in which the principal office is located. (4) An electronic transmission by this corporation to a member is not authorized unless, in addition to satisfying the requirements of this section, the transmission satisfies the requirements applicable to consumer consent to electronic record as set forth in the Electronic Signatures in Global and National Commerce Act (15 United States Code §7001(c)(1)). (5) Notice shall not be given by electronic transmission by the corporation after either of the following: (a) the corporation is unable to deliver two consecutive notices to the member by that means or (b) the inability so to deliver the notices to the member becomes known to the secretary, any assistant secretary, or any other person responsible for the giving of the notice. 21. Affidavit of Mailing Notice. One Third (33-1/3%) of the voting power shall constitute a quorum for the transaction of business at any meeting of members, whether represented by written proxy or in person. Except as otherwise required by law, the articles, or these bylaws, the members present at a duly called or held meeting at which a quorum is present may continue to transact business until adjournment, even if enough members have withdrawn to leave less than a quorum, if any action taken (other than adjournment) is approved by at least a majority of the members required to constitute a quorum. Subject to the California Nonprofit Public Benefit Corporation Law, members in good standing on the record date as determined under Sections 34 and 35 of these bylaws shall be entitled to vote at any meeting of members. 26. Approval by Majority Vote. If a quorum is present, the affirmative vote of a majority of the voting power represented at the meeting, entitled to vote and voting on any matter, shall be deemed the act of the members unless the vote of a greater number, or voting by classes, is required by the California Nonprofit Public Benefit Corporation Law or by the articles of incorporation. 27. Waiver of Notice or Consent. The transactions of any meeting of members, however called or noticed and wherever held, shall be as valid as though taken at a meeting duly held after standard call and notice, if (1) a quorum is present either in person or by proxy, and (2) either before or after the meeting, each member entitled to vote, not present in person or by proxy, signs a written waiver of notice, a consent to the holding of the meeting, or an approval of the minutes of the meeting. The waiver of notice, consent, or approval need not specify either the business to be transacted or the purpose of the meeting except that, if action is taken or proposed to be taken for approval of any matter specified in Section 19(b) of these bylaws, the waiver of notice, consent, or approval shall state the general nature of the proposal. All such waivers, consents, or approvals shall be filed with the corporate records or made a part of the minutes of the meeting. A member's attendance at a meeting shall also constitute a waiver of notice of and presence at that meeting unless the member objects at the beginning of the meeting to the transaction of any business because the meeting was not lawfully called or convened. Also, attendance at a meeting is not a waiver of any right to object to the consideration of matters required to be included in the notice of the meeting but not so included, if that objection is expressly made at the meeting. 28. Action by Unanimous Written Consent. 29. Action by Written Ballot. Any action that members may take at any meeting of members may also be taken without a meeting by complying with Sections 28, 30, 31, 32, and 34 of these bylaws. 30. Solicitation of Written Ballots. needed to meet the quorum requirement; (2) state, with respect to ballots other than for election of directors, the percentage of approvals necessary to pass the measure or measures; and (3) specify the time by which the ballot must be received in order to be counted. Each ballot so distributed shall (1) set forth the proposed action; (2) give the members an opportunity to specify approval or disapproval of each proposal; and (3) provide a reasonable time in which to return the ballot to the corporation. If the corporation has 100 or more members, any written ballot distributed to ten or more members shall provide that, subject to reasonable specified conditions, if the person solicited specifies a choice in any such matter, the vote shall be cast according to that specification. In any election of directors, a written ballot that a member marks "withhold," or otherwise marks in a manner indicating that authority to vote is withheld, shall not be voted either for or against the election of a director. 31. Number of Votes and Approvals Required. Approval by written ballot shall be valid only when (1) the number of votes cast by ballot (including ballots that are marked "withhold" or otherwise indicate that authority to vote is withheld) within the time specified equals or exceeds the quorum required to be present at a meeting authorizing the action, and (2) the number of approvals equals or exceeds the number of votes that would be required for approval at a meeting at which the total number of votes cast was the same as the number of votes cast by written ballot without a meeting. All written ballots shall be filed with the secretary of the corporation and maintained in the corporate records for at least ten (10) years. 34. Record Date for Notice, Voting, Written Ballots and Other Actions. d. Taking any other action shall be no more than 60 days before that action. 35. Record Date for Actions Not Set by the Board. notice is waived, the next business day preceding the day on which the meeting is held. If not otherwise fixed by the board, the record date for determining members entitled to vote at the meeting shall be the day on which the meeting is held. For purposes of eligibility to vote, a person holding a membership at the close of business on the record date shall be a member of record. Each member entitled to vote shall have the right to do so either in person or by one or more agents authorized by a written proxy, signed by the member and filed with the secretary of the corporation. A proxy shall be deemed signed if the member's name is placed on the proxy by the member or the member's attorney-in-fact, whether by manual signature, typewriting, facsimile transmission, or otherwise. If the corporation has 100 or more members, any form of proxy distributed to 10 or more members shall give the member an opportunity to specify a choice between approval and disapproval of each matter or group of related matters and, subject to reasonable specified conditions, shall provide that, when the person solicited specifies a choice in any such matter, the vote shall be cast according to that specification. In an election of directors, any form of proxy that a member marks "withhold," or otherwise marks in a manner indicating that authority to vote for the election of directors is withheld, shall not be voted either for or against the election of a director. 38. Subject Matter of Proxy to Be Stated. 39. Expiration and Revocability of Proxies. b. written notice of the death or incapacity of the maker of the proxy is received by the corporation before the vote under that proxy is counted. All proxies shall be revocable by the grantor. 40. Adjournment and Notice of Adjourned Meetings. 41. Powers of the Board. a. General Powers of the Board. b. Specific Powers of the Board. (2) Change the principal office or the principal business office in California from one location to another; cause the corporation to be qualified to conduct its activities in any other state, territory, dependency, or country; conduct its activities in or outside California; and designate a place in or outside California for holding any meeting of members. 42. Number of and Qualifications for Directors. The board of directors shall consist of at least Three (3) but no more than Seven (7) directors unless changed by amendment to these bylaws. The exact number of directors shall be fixed, within those limits, by a resolution adopted by the board of directors. To qualify to serve as a director, an individual shall be and remain in a member in good standing of this corporation upon election and throughout the term to which elected. Only natural persons may qualify to serve as directors. 43. Restriction on Interested Persons as Directors. No more than Forty Nine Percent (49%) of the persons serving on the board may be "interested persons." An interested person is (a) any person compensated by the corporation for services rendered to it within the previous 12 months, whether as a full-time or part-time employee, independent contractor, or otherwise, excluding any reasonable compensation paid to a director as director; and (b) any brother, sister, ancestor, descendant, spouse, brother-in-law, sister-in-law, son-in-law, daughter-in-law, mother-in- law, or father-in-law of such person. However, any violation of this paragraph shall not affect the validity or enforceability of transactions entered into by the corporation. The chair of the board or, if none, the president, shall appoint a committee to nominate qualified candidates for election to the board at least 60 days before the date of any election of directors. The nominating committee shall make its report at least 30 days before the date of the election, or at such other time as the board may set, and the secretary shall forward to each member, with the notice of meeting required by these bylaws, a list of all candidates nominated by committee. 45. Nomination by Members of Corporations with 500 to 4,999 Members. Members representing Two Percent (2%) of the voting power may nominate candidates for directors by petition. The petition must be signed by those members within 11 months preceding the next time directors are to be elected, and delivered to an officer of the corporation. On timely receipt of the petition signed by the required number of members, the secretary shall cause the names of the candidates named on it to be placed on the ballot along with the names of the candidates chosen by the nominating committee. 46. Nominations by Members of Corporations with 5,000 or More Members. Members representing 1/20 of One Percent (1%) of the voting power, but at least 100 and no more than 500 members, may nominate candidates for directors by petition. The petition must be signed by those members no earlier than the 120th day or no later than the 50th day before the time directors are to be elected, and delivered to an officer of the corporation. No nominations for the board can be made after the date set for the close of nominations. On timely receipt of the petition signed by the required number of members, the secretary shall cause the names of the candidates named on it to be placed on the ballot along with the names of candidates named by the nominating committee. When a meeting is held for the election of directors, any member present at the meeting in person or by proxy may place names in nomination. 48. Nominee's Right to Solicit Votes. 49. Use of Corporate Funds to Support Nominee. If more people have been nominated for director than can be elected, no corporate funds may be expended to support a nominee without the board's authorization. 50. Events Causing Vacancies on Board. e. the failure of the members, at any meeting of members at which any director or directors are to be elected, to elect the number of directors required to be elected at such meeting. Except as provided below, any director may resign by giving written notice to the chair of the board, if any, or to the president or the secretary of the board. The resignation shall be effective when the notice is given unless it specifies a later time for the resignation to become effective. If a director's resignation is effective at a later time, the board may elect a successor to take office as of the date when the resignation becomes effective. Directors may be removed without cause as provided in Corporations Code §5222 and may be removed for cause as provided in Corporations Code §5223. Any vacancy caused by the removal of a director shall be filled as provided in Sections 51 and 52 of these bylaws. Any director who does not attend Three (3) successive board meetings will automatically be removed from the board without board resolution unless (1) the director requests a leave of absence for a limited period of time, and the leave is approved by the directors at a regular or special meeting (if such leave is granted, the number of board members will be reduced by one in determining whether a quorum is or is not present); (2) the director suffers from an illness or disability that prevents him or her from attending meetings and the board by resolution waives the automatic removal procedure of this subsection; or (3) the board by resolution of the majority of board members must agree before a director who has missed three meetings may be reinstated. 51. Vacancies Filled by Board. Except for a vacancy created by the removal of a director by the members, vacancies on the board may be filled by approval of the board or, if the number of directors then in office is less than a quorum, by (1) the unanimous written consent of the directors then in office, (2) the affirmative vote of a majority of the directors then in office at a meeting held according to notice or waivers of notice complying with Corporations Code §5221, or (3) a sole remaining director. 52. Vacancies Filled by Members. The members may elect a director or directors at any time to fill any vacancy or vacancies not filled by the directors within 60 days after the vacancy occurs. 53. No Vacancy on Reduction of Number of Directors. Any reduction of the authorized number of directors shall not result in any director's removal before his or her term of office expires. 54. Place and Manner of Board Meeting. a. Location of Board Meeting. 55. Annual and Other Meetings of the Board. Immediately after each annual meeting of members, the board shall hold a general meeting for purposes of organization, election of officers, and transaction of other business. Notice of this meeting is not required. Other general meetings of the board may be held without notice at such time and place as the board may fix from time to time. 56. Authority to Call Special Meetings; Notice of Special Meetings. Special meetings of the board for any purpose may be called at any time by the chair of the board, if any, the president or any vice president, the secretary, or any two directors. Notice of the time and place of special meetings shall be given to each director by (1) personal delivery of written notice; (2) first-class mail, postage prepaid; (3) telephone, including a voice messaging system or other system or technology designed to record and communicate messages, or by electronic transmission, either directly to the director or to a person at the director's office who would reasonably be expected to communicate that notice promptly to the director; (4) facsimile; (5) electronic mail; or (6) other electronic means. All such notices shall be given or sent to the director's address or telephone number as shown on the corporation's records. Notices sent by first-class mail shall be deposited in the United States mails at least 20 days before the time set for the meeting. Notices given by personal delivery, telephone, or electronic transmission shall be delivered, telephoned, or sent, respectively, at least 10 days before the time set for the meeting. The notice shall state the time of the meeting and the place. The notice need not specify the purpose of the meeting. A majority of the authorized number of directors shall constitute a quorum for the transaction of any business except adjournment. Every action taken or decision made by a majority of the directors present at a duly held meeting at which a quorum is present shall be an act of the board, subject to the more stringent provisions of the California Nonprofit Public Benefit Corporation Law, including without limitation those provisions relating to (1) approval of contracts or transactions in which a director has a direct or indirect material financial interest, (2) approval of certain transactions between corporations having common directorships, (3) creation of and appointments to committees of the board, and (4) indemnification of directors. A meeting at which a quorum is initially present may continue to transact business, despite the withdrawal of some directors from that meeting, if any action taken or decision made is approved by at least a majority of the required quorum for that meeting. Notice of a meeting need not be given to any director who, either before or after the meeting, signs a waiver of notice, a written consent to the holding of the meeting, or an approval of the minutes of the meeting. The waiver of notice or consent need not specify the purpose of the meeting. All waivers, consents, and approvals shall be filed with the corporate records or made a part of the minutes of the meetings. Notice of a meeting need not be given to any director who attends the meeting and who, before or at the beginning of the meeting, does not protest the lack of notice to him or her. 59. Adjournment; Notice of Adjourned Meeting. A majority of the directors present, whether or not a quorum is present, may adjourn any meeting to another time and place. Notice of the time and place of holding an adjourned meeting need not be given unless the original meeting is adjourned for more than 24 hours. If the original meeting is adjourned for more than 24 hours, notice of any adjournment to another time and place shall be given, before the time of the adjourned meeting, to the directors who were not present at the time of the adjournment. 60. Action Without a Meeting. Any action that the board is required or permitted to take may be taken without a meeting if all board members consent in writing to the action; provided, however, that the consent of any director who has a material financial interest in a transaction to which the corporation is a party and who is an "interested director" as defined in Corporations Code §5233 shall not be required for approval of that transaction. Such action by written consent shall have the same force and effect as any other validly approved action of the board. All such consents shall be filed with the minutes of the proceedings of the board. Directors and members of committees of the board may receive such compensation, if any, for their services as directors or officers, and such reimbursement of expenses, as the board may establish by resolution to be just and reasonable as to the corporation at the time that the resolution is adopted. 62. Creation and Powers of Committees. (7) Approve any contract or transaction to which the corporation is a party and in which one or more of its directors has a material financial interest, except as special approval is provided in Corporations Code §5233(d)(3). 63. Meetings and Actions of Committees. Meetings and actions of committees of the board shall be governed by, held, and taken under the provisions of these bylaws concerning meetings and other board actions, except that the time for general meetings of board committees and the calling of special meetings of board committees may be set either by board resolution or, if none, by resolution of the committee. Minutes of each meeting shall be kept and shall be filed with the corporate records. The board may adopt rules for the governance of any committee as long as the rules are consistent with these bylaws. If the board has not adopted rules, the committee may do so. 64. Officers of the Corporation. The officers of this corporation shall be a president, a secretary, and a chief financial officer/treasurer. The corporation, at the board's discretion, may also have a chair of the board, one or more vice presidents, one or more assistant secretaries, one or more assistant treasurers, and such other officers as may be appointed under Section 64(g) of these bylaws. Any number of offices may be held by the same person, except that neither the secretary nor the chief financial officer/treasurer may serve concurrently as either the president or the chair of the board. a. Chair of the Board. If a chair of the board of directors is elected, he or she shall preside at board meetings and shall exercise and perform such other powers and duties as the board may assign from time to time. If there is no president, the chair of the board shall also be the chief executive officer and shall have the powers and duties of the president of the corporation set forth in these bylaws. Subject to such supervisory powers as the board may give to the chair of the board, if any, and subject to the control of the board, the president shall be the general manager of the corporation and shall supervise, direct, and control the corporation's activities, affairs, and officers. The president shall preside at all members' meetings and, in the absence of the chair of the board, or if none, at all board meetings. The president shall have such other powers and duties as the board or the bylaws may require. If the president is absent or disabled, the vice presidents, if any, in order of their rank as fixed by the board, or, if not ranked, a vice president designated by the board, shall perform all duties of the president. When so acting, a vice president shall have all powers of and be subject to all restrictions on the president. The vice presidents shall have such other powers and duties as the board or the bylaws may require. The chief financial officer/treasurer shall keep and maintain, or cause to be kept and maintained, adequate and correct books and accounts of the corporation's properties and transactions. The chief financial officer/treasurer shall send or cause to be given to the members and directors such financial statements and reports as are required to be given by law, by these bylaws, or by the board. The books of account shall be open to inspection by any director at all reasonable times. The chief financial officer/treasurer shall (1) deposit, or cause to be deposited, all money and other valuables in the name and to the credit of the corporation with such depositories as the board may designate; (2) disburse the corporation's funds as the board may order; (3) render to the president, chair of the board, if any, and the board, when requested, an account of all transactions as chief financial officer/treasurer and of the financial condition of the corporation; and (4) have such other powers and perform such other duties as the board or the bylaws may require. If required by the board, the chief financial officer/treasurer shall give the corporation a bond in the amount and with the surety or sureties specified by the board for faithful performance of the duties of the office and for restoration to the corporation of all of its books, papers, vouchers, money, and other property of every kind in the possession or under the control of the chief financial officer/treasurer on his or her death, resignation, retirement, or removal from office. The officers of this corporation, except any appointed under Section 64(g) of these bylaws, shall be chosen annually by the board and shall serve at the pleasure of the board, subject to the rights of any officer under any employment contract. g. Appointment of Additional Officers. The board may appoint and authorize the chair of the board, the president, or another officer to appoint any other officers that the corporation may require. Each appointed officer shall have the title and authority, hold office for the period, and perform the duties specified in the bylaws or established by the board. A vacancy in any office because of death, resignation, removal, disqualification, or any other cause shall be filled in the manner prescribed in these bylaws for normal appointments to that office. However, vacancies need not be filled on an annual basis. No director of this corporation nor any other corporation, firm, association, or other entity in which one or more of this corporation's directors are directors or have a material financial interest, shall be interested, directly or indirectly, in any contract or transaction with this corporation unless (1) the material facts regarding that director's financial interest in such contract or transaction or regarding such common directorship, officership, or financial interest are fully disclosed in good faith and noted in the minutes, or are known to all members of the board prior to the board's consideration of such contract or transaction; (2) such contract or transaction is authorized in good faith by a majority of the board by a vote sufficient for that purpose without counting the votes of the interested directors; (3) before authorizing or approving the transaction, the board considers and in good faith decides after reasonable investigation that the corporation could not obtain a more advantageous arrangement with reasonable effort under the circumstances; and (4) the corporation for its own benefit enters into the transaction, which is fair and reasonable to the corporation at the time the transaction is entered into. This Section does not apply to a transaction that is part of an educational or charitable program of this corporation if it (1) is approved or authorized by the corporation in good faith and without unjustified favoritism and (2) results in a benefit to one or more directors or their families because they are in the class of persons intended to be benefited by the educational or charitable program of this corporation. This Section does not apply to a transaction that is part of a public program of this corporation if it (1) is approved or authorized by the corporation in good faith and without unjustified favoritism and (2) results in a benefit to one or more directors or their families because they are in the class of persons intended to be benefited by the public program of this corporation. 66. Loans to Directors and Officers. To the fullest extent permitted by law, this corporation shall indemnify its directors and officers, and may indemnify employees and other persons described in Corporations Code §5238(a), including persons formerly occupying any such positions, against all expenses, judgments, fines, settlements, and other amounts actually and reasonably incurred by them in connection with any "proceeding," as that term is used in that section, and including an action by or in the right of the corporation, by reason of the fact that the person is or was a person described in that section. "Expenses," as used in this bylaw, shall have the same meaning as in that section of the Corporations Code. On written request to the board by any person seeking indemnification under Corporations Code §5238(b) or §5238(c), the board shall promptly decide under Corporations Code §5238(e) whether the applicable standard of conduct set forth in Corporations Code §5238(b) or §5238(c) has been met and, if so, the board shall authorize indemnification. If the board cannot authorize indemnification, because the number of directors who are parties to the proceeding with respect to which indemnification is sought prevents the formation of a quorum of directors who are not parties to that proceeding, the board shall promptly call a meeting of members. At that meeting, the members shall determine under Corporations Code §5238(e) whether the applicable standard of conduct has been met and, if so, the members present at the meeting in person or by proxy shall authorize indemnification. To the fullest extent permitted by law and except as otherwise determined by the board in a specific instance, expenses incurred by a person seeking indemnification under Sections 67 or 68 of these bylaws in defending any proceeding covered by those Sections shall be advanced by the corporation before final disposition of the proceeding, on receipt by the corporation of an undertaking by or on behalf of that person that the advance will be repaid unless it is ultimately found that the person is entitled to be indemnified by the corporation for those expenses. 69. Maintenance of Corporate Records. c. A record of each member's name and address. 70. Membership Records; Members' Inspection Rights. b. Obtain from the secretary of the corporation, on written demand and tender of a reasonable charge, a list of names, addresses, and voting rights of members who are entitled to vote for directors as of the most recent record date for which that list has been compiled, or as of the date, after the date of demand, specified by the member. The demand shall state the purpose for which the list is requested. The secretary shall make this list available to the member on or before the later of 10 days after the demand is received or the date specified in the demand as the date as of which the list is to be compiled. The corporation may, within 10 business days after receiving a demand under this Section, make a written offer of an alternative method of reasonable and timely achievement of the proper purpose specified in the demand without providing access to or a copy of the membership list. Any rejection of this offer must be in writing and must state the reasons the proposed alternative does not meet the proper purpose of the demand. If the corporation reasonably believes that the information will be used for a purpose other than one reasonably related to a person's interest as a member, or if it provides a reasonable alternative under this Section, it may deny the member access to the membership list. Any inspection and copying under this Section may be made in person or by the member's agent or attorney. The right of inspection includes the right to copy and make extracts. This right of inspection extends to the records of any subsidiary of the corporation. 71. Accounting Records and Minutes. 72. Maintenance and Inspection of Articles and Bylaws. This corporation shall keep at its principal California office the original or a copy of the articles of incorporation and bylaws, as amended to the current date, that shall be open to inspection by the members at all reasonable times during office hours. If the corporation has no business office in California, the secretary shall, on the written request of any member, furnish to that member a copy of the articles of incorporation and bylaws, as amended to the current date. 73. Director's Right to Inspect. inspection may be made in person or by the director's agent or attorney. The right of inspection includes the right to copy and make extracts of books, records, and documents of every kind. f. An independent accountants' report or, if none, the certificate of an authorized officer of the corporation that such statements were prepared without audit from the corporation's books and records. 75. Annual Statement of Certain Transactions and Indemnification. a. Any transaction (1) in which the corporation, or its parent or subsidiary, was a party, (2) in which an "interested person" had a direct or indirect material financial interest, and (3) that involved more than $50,000 or was one of several transactions with the same interested person involving, in the aggregate, more than $50,000. (ii) Any holder of more than Ten Percent (10%) of the voting power of the corporation, its parent, or its subsidiary. The statement shall include a brief description of the transaction, the names of interested persons involved, their relationship to the corporation, the nature of their interest in the transaction, and, if practicable, the amount of that interest, provided that if the transaction was with a partnership in which the interested person is a partner, only the interest of the partnership need be stated. b. Any indemnifications or advances aggregating more than $10,000 paid during the fiscal year to any officer or director of the corporation under Section 67 of these bylaws, unless that indemnification has already been approved by the members under Corporations Code §5238(e)(2). I certify that I am the duly elected and acting Secretary of ORGANIZATION OF WOMEN ARCHITECTS AND DESIGN PROFESSIONALS, a California nonprofit public benefit corporation; that the foregoing bylaws, consisting of Twenty Two (22) pages, are the bylaws of this corporation as adopted by the board of directors on Page , 2009; and that these bylaws have not been amended or modified since that date.